San Francisco is known for nature, museums, nightlife, shopping, and childrens museums. Your plan includes some of its best attractions: explore and take pictures at Alcatraz Island, make a trip to Lombard Street, engage your brain at Exploratorium, and take a stroll through SoMa. For traveler tips, reviews, where to stay, and more tourist information, read our San Francisco day trip planning site . Melbourne, Australia to San Francisco is an approximately 19-hour flight. You can also do a combination of shuttle and flight; or do a combination of train and flight. You'll gain 18 hours traveling from Melbourne to San Francisco due to the time zone difference. When traveling from Melbourne in November, plan for slightly colder days in San Francisco, with highs around 20°C, while nights are about the same with lows around 12°C. Finish your sightseeing early on the 22nd (Fri) to allow enough time to travel to Minneapolis. Kick off your visit on the 23rd (Sat): get a sense of history and politics at Minneapolis City Hall, then contemplate the waterfront views at Chain of Lakes, then admire the masterpieces at Minneapolis Institute of Art, and finally have some family-friendly fun at The Escape Game. To see where to stay, other places to visit, maps, and other tourist information, refer to the Minneapolis trip website . Getting from San Francisco to Minneapolis by flight takes about 5.5 hours. Other options: do a combination of train and flight; or drive. The time zone difference when traveling from San Francisco to Minneapolis is 2 hours. Plan for cooler temperatures traveling from San Francisco in November, with highs in Minneapolis at 7°C and lows at -2°C. Wrap up your sightseeing on the 23rd (Sat) to allow time to travel to Chicago. On the 24th (Sun), admire all the interesting features of Wrigley Field, then make a trip to Millennium Park, then admire the masterpieces at The Art Institute of Chicago, and finally enjoy breathtaking views from Skydeck Chicago - Willis Tower. To see other places to visit, more things to do, maps, and more tourist information, you can read our Chicago road trip website . You can fly from Minneapolis to Chicago in 3.5 hours. Alternatively, you can do a combination of flight, bus, and subway; or drive. Expect a bit warmer temperatures when traveling from Minneapolis in November; daily highs in Chicago reach 11°C and lows reach 1°C. Wrap up your sightseeing on the 25th (Mon) early enough to travel to New York City. New York City is known for museums, nightlife, shopping, historic sites, and parks. Your plan includes some of its best attractions: go for a walk through Central Park, admire the landmark architecture of Rockefeller Center, make a trip to Statue of Liberty National Monument, and take in panoramic vistas at Top of the Rock. For reviews, maps, photos, and other tourist information, read New York City online day trip planner . Getting from Chicago to New York City by combination of flight and bus takes about 5 hours. Other options: fly; or drive. The time zone difference when traveling from Chicago to New York City is 1 hour. Traveling from Chicago in November, things will get somewhat warmer in New York City: highs are around 16°C and lows about 7°C. Finish your sightseeing early on the 29th (Fri) to allow enough time to take a train to Philadelphia. Start off your visit on the 29th (Fri): get a sense of history and politics at Independence Hall, then explore the world behind art at Barnes Foundation, then explore the world behind art at Philadelphia Museum of Art, and finally pause for some photo ops at Liberty Bell Center. To find reviews and tourist information, go to the Philadelphia trip planner . Take a train from New York City to Philadelphia in 2 hours. Alternatively, you can drive; or take a bus. In November, daily temperatures in Philadelphia can reach 16°C, while at night they dip to 5°C. Finish up your sightseeing early on the 29th (Fri) so you can catch the train to Washington DC. Kick off your visit on the 30th (Sat): admire the masterpieces at National Gallery of Art, see the interesting displays at National Air and Space Museum, then pause for some photo ops at Vietnam Veterans Memorial, and finally get a sense of history and politics at White House. To see other places to visit, ratings, where to stay, and more tourist information, you can read our Washington DC travel route builder . Getting from Philadelphia to Washington DC by train takes about 2 hours. Other options: drive; or take a bus. In November, daily temperatures in Washington DC can reach 17°C, while at night they dip to 6°C. Finish your sightseeing early on the 30th (Sat) to allow enough time to drive to Orlando. On the 1st (Sun), discover the magic at Walt Disney World Resort. Keep things going the next day: get in on the family fun at Universal Orlando Resort. To see maps, where to stay, reviews, and more tourist information, you can read our Orlando road trip app . Traveling by car from Washington DC to Orlando takes 14 hours. Alternatively, you can take a train; or take a bus. Plan for warmer temperatures traveling from Washington DC in December, with highs in Orlando at 29°C and lows at 17°C. Cap off your sightseeing on the 2nd (Mon) early enough to go by car to Atlanta. Start off your visit on the 3rd (Tue): admire nature's wide array of creatures at Georgia Aquarium and then indulge in some culinary diversions at a local gastronomic tour. For maps, traveler tips, photos, and tourist information, read our Atlanta driving holiday planner . Traveling by car from Orlando to Atlanta takes 7.5 hours. Alternatively, you can take a bus; or do a combination of train and bus. In December, Atlanta is a bit cooler than Orlando - with highs of 17°C and lows of 6°C. Wrap up your sightseeing on the 3rd (Tue) early enough to travel to New Orleans. Kick off your visit on the 4th (Wed): get to know the fascinating history of Jackson Square, learn about all things military at The National WWII Museum, and then take a stroll through Garden District. On the 5th (Thu), you'll have a packed day of sightseeing: contemplate in the serene atmosphere at St. Louis Cathedral, then make a trip to French Quarter, and then stroll through New Orleans City Park. To find more things to do, maps, where to stay, and tourist information, use the New Orleans day trip tool . Traveling by combination of flight and car from Atlanta to New Orleans takes 3 hours. Alternatively, you can fly; or drive. The time zone changes from Eastern Standard Time to Central Standard Time, which is usually a -1 hour difference. Plan for somewhat warmer nights when traveling from Atlanta in December since evenings lows in New Orleans dip to 16°C. Finish your sightseeing early on the 5th (Thu) so you can travel to Los Angeles. 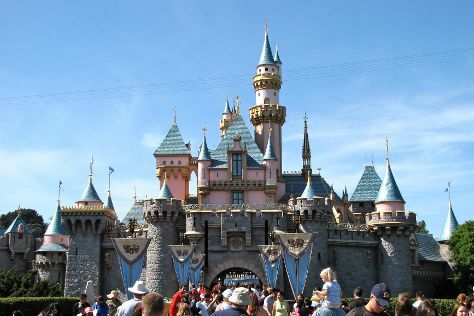 Kick off your visit on the 6th (Fri): make an unforgettable trip to Disneyland Park. On the 7th (Sat), you'll have a packed day of sightseeing: get in on the family fun at Universal Studios Hollywood. For ratings, more things to do, traveler tips, and more tourist information, use the Los Angeles trip itinerary tool . You can fly from New Orleans to Los Angeles in 7 hours. Other options are to do a combination of flight and bus; or drive. Traveling from New Orleans to Los Angeles, you'll gain 2 hours due to the time zone difference. Expect somewhat warmer weather when traveling from New Orleans in December: highs in Los Angeles hover around 24°C, while lows dip to 11°C. Wrap up your sightseeing on the 7th (Sat) early enough to travel back home.